Today on the blog I'm launching a new column called, 'Craft Event Directory'. I want this to be a nice way to introduce you to some of the events on offer, as a way to inspire you to take your craft products out on the road. I'll not only be asking about the events themselves, but more importantly I'll be asking information like; who they are looking for applications from... so keep watching! Today we are exploring Urban Makers East, based in London, UK. Can you tell me a bit about Urban Makers East? Urban Makers East was founded in Bow, East London, by two friends Ilka Dickens and Julia Redgrove. Being makers ourselves we realised that a local, designer led market was missing from our lively, creative and diverse area. 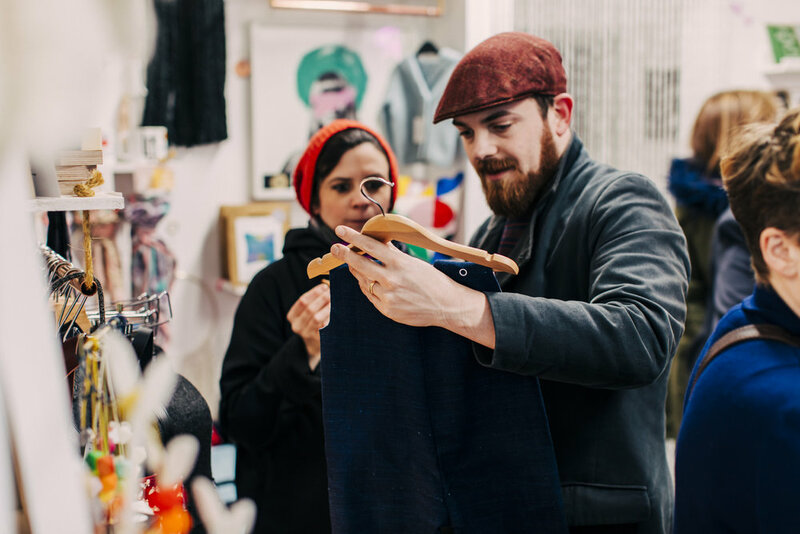 With so many other established and budding designers, artists, crafters and all round great people on our doorstep, we wanted to take over local spaces and create somewhere for them to showcase and sell their unique creations. What makes Urban Makers East special in your view? We started out with makers' markets but have since branched out into pop-up shops and events such as Stylist Live. With rents being so high in London this gives designers the opportunity to sell in some key locations and events without breaking the bank. We will soon be opening an online market place so we can continue to support our makers between events. Where and how can people apply to show with you? People can apply on our website. When applications open we send out a newsletter and share on social media. Do you have specific criteria for applications? We will be back at the Ecology Pavilion, Mile End Park, this Spring on the weekend of April 21st and 22nd. April 22nd is Earth day and to celebrate we are curating the market with a green agenda. The 2018 theme is End Plastic Pollution so we plan to minimise all single use plastics as much as we can. We are offering green workshops, craft and outdoor activities for kids, organic, vegan and vegetarian food, artisan coffee and more. STOP Fixating On Your Competitors!